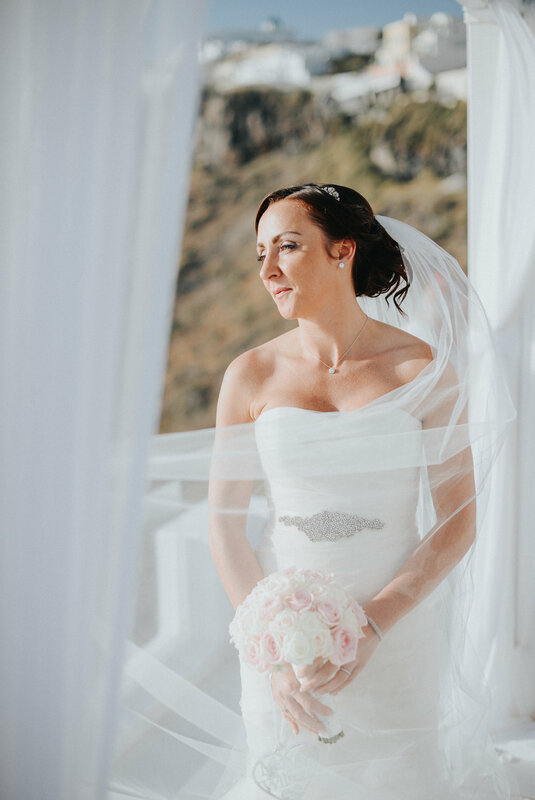 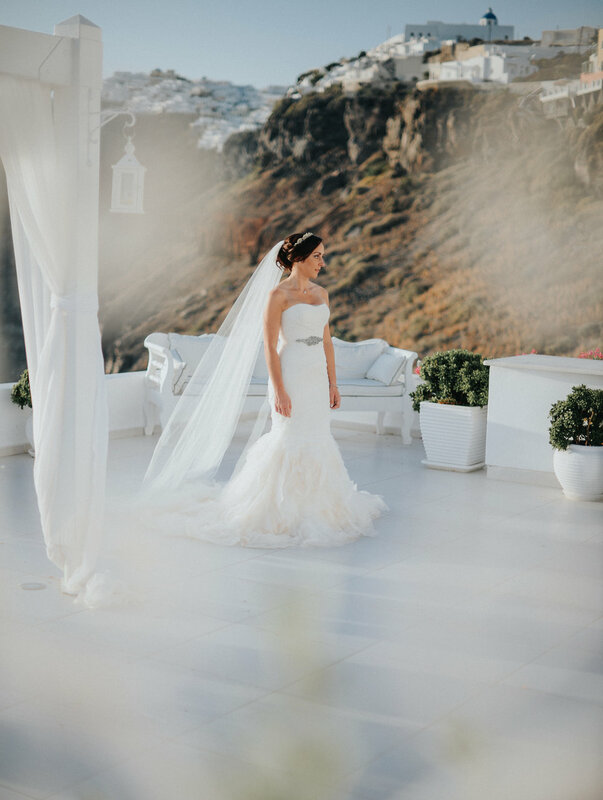 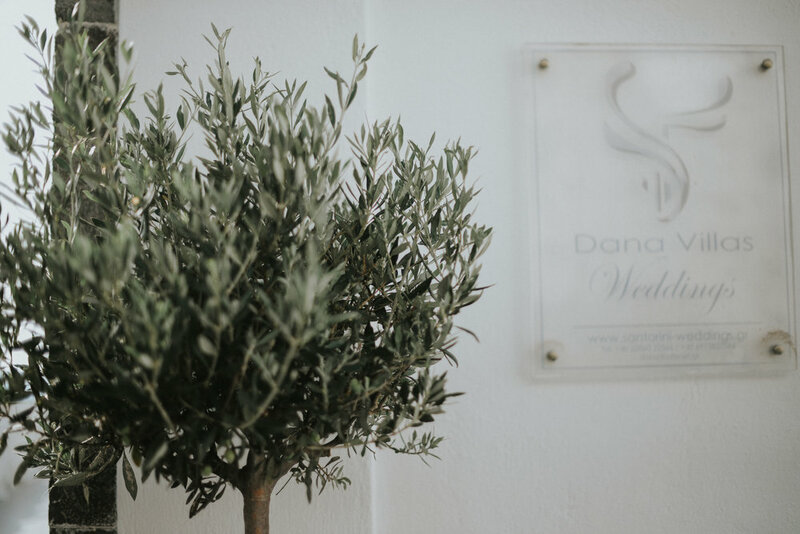 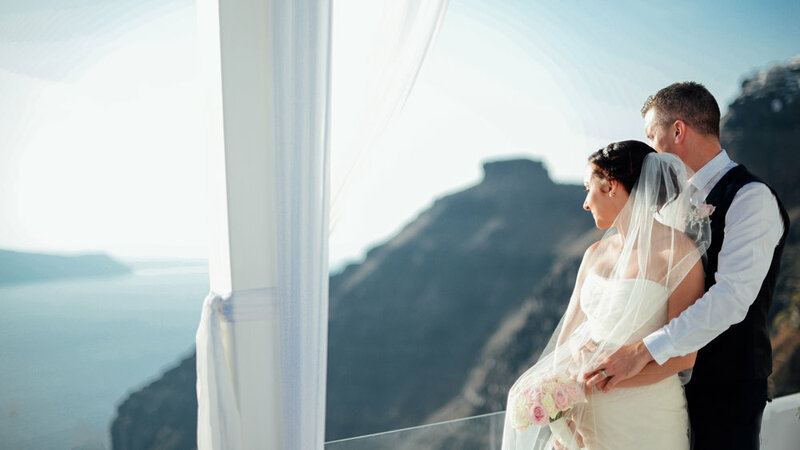 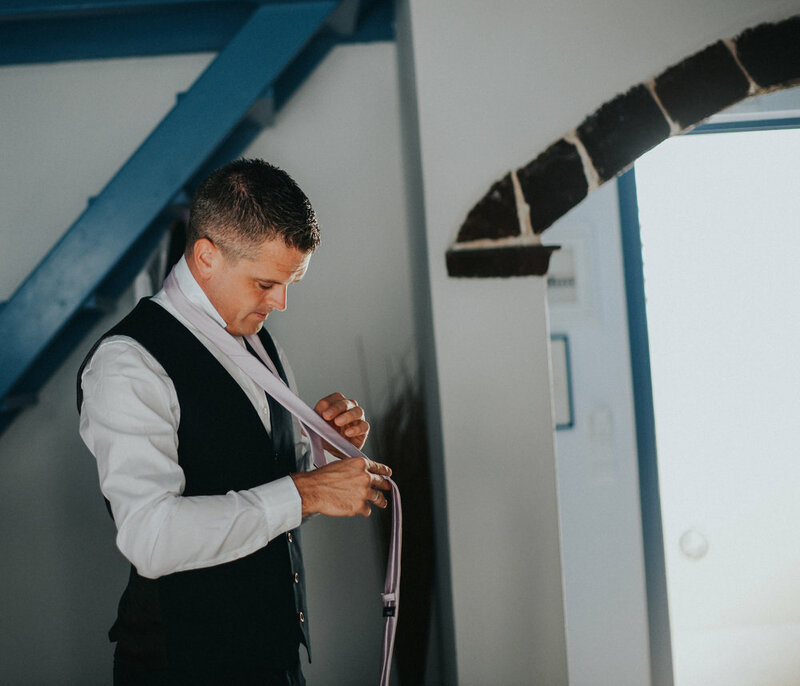 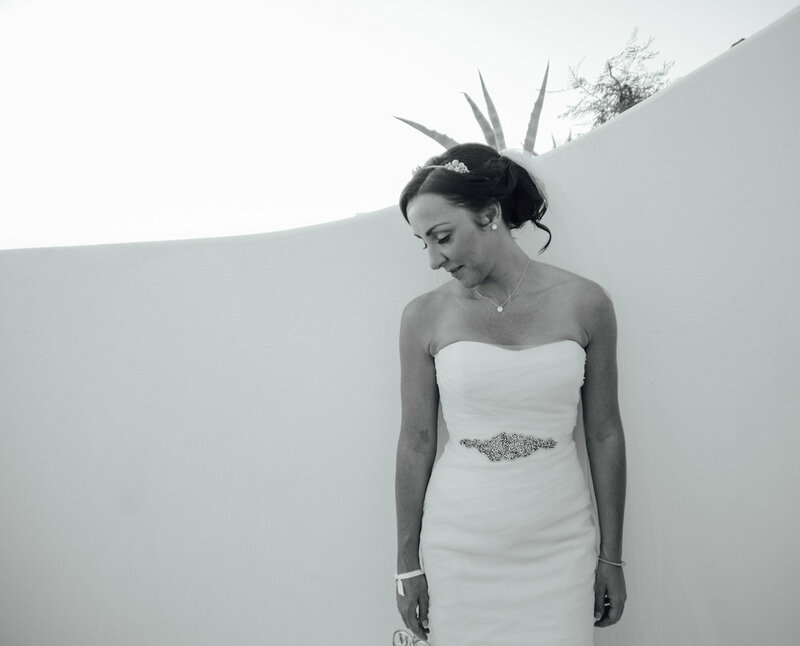 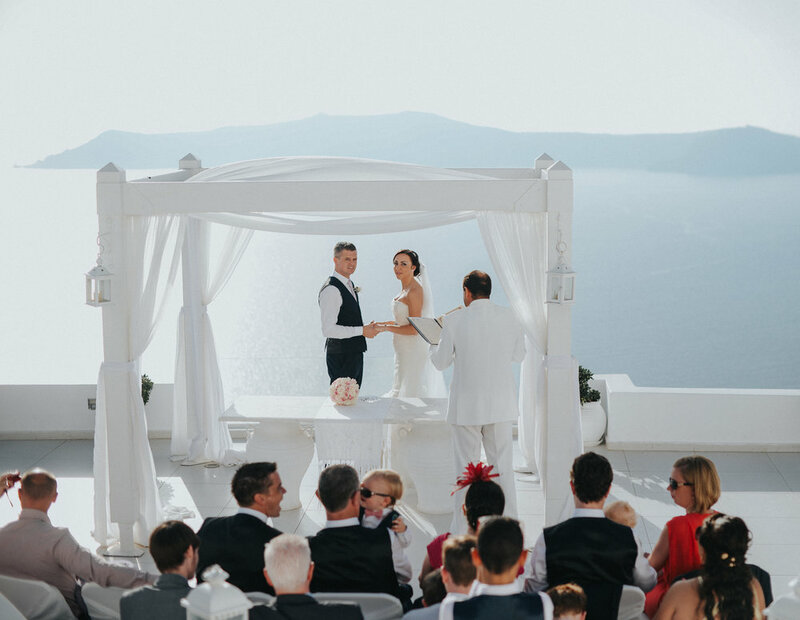 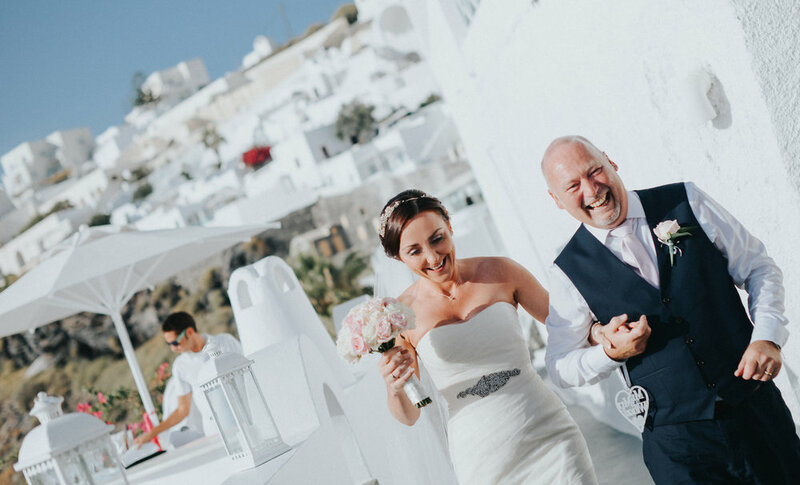 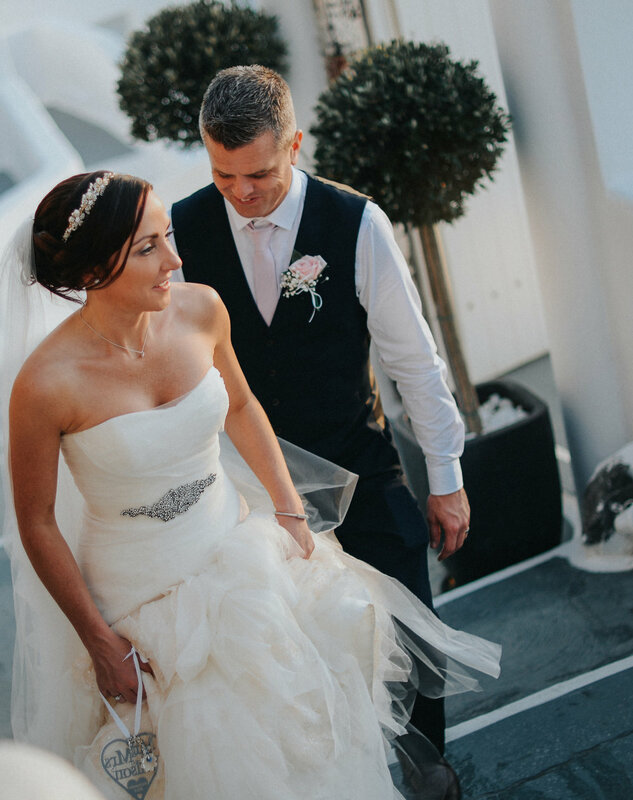 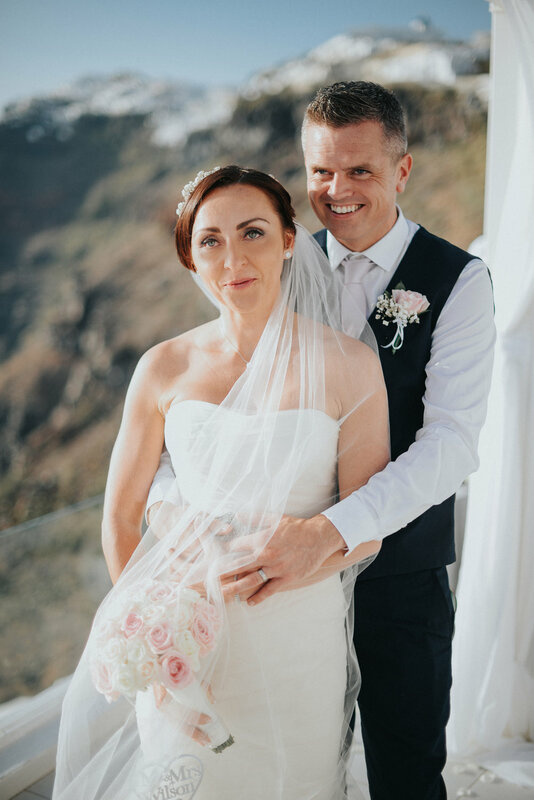 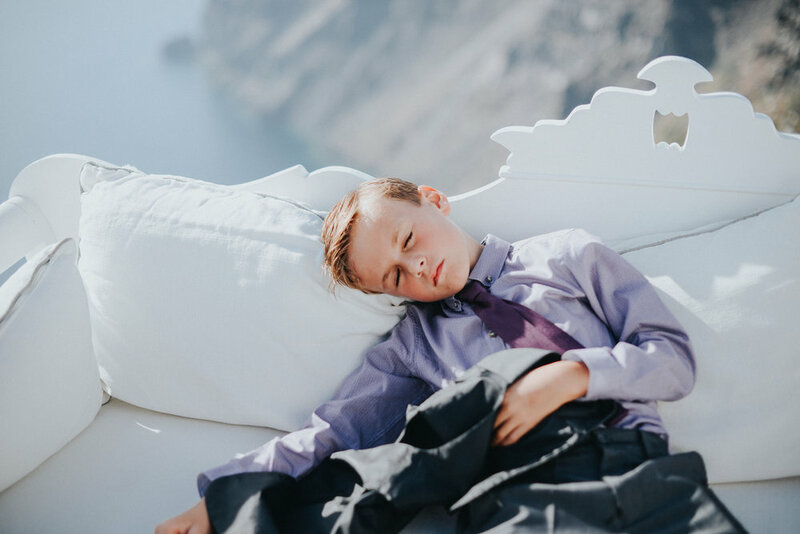 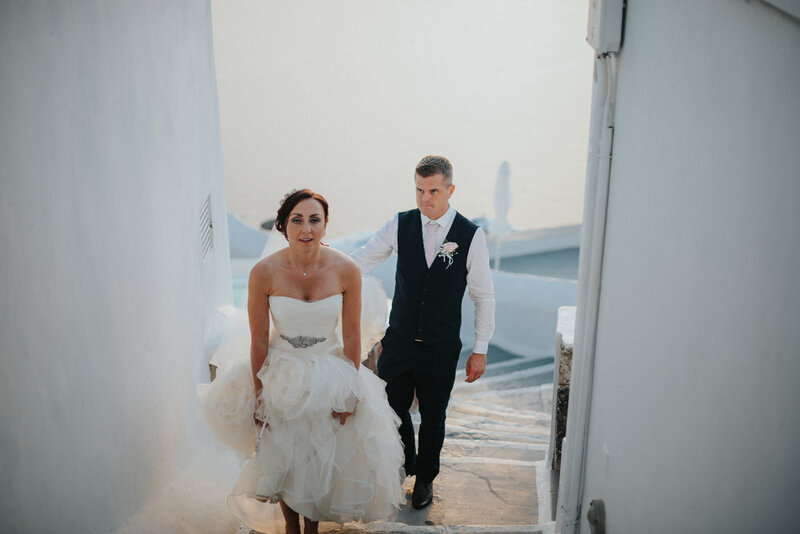 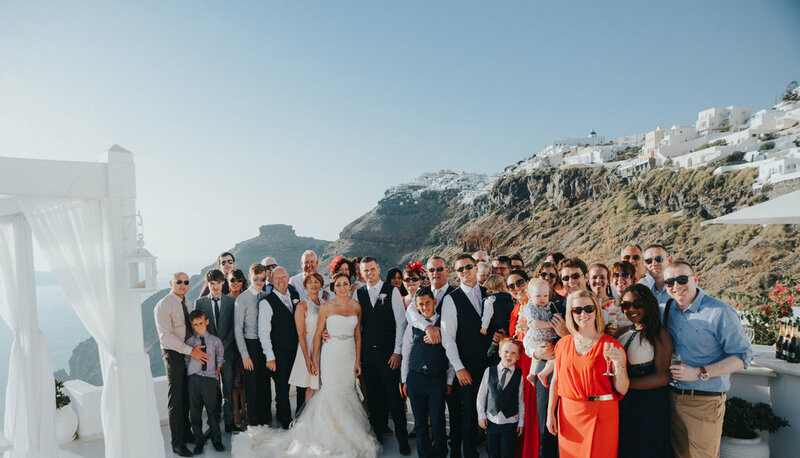 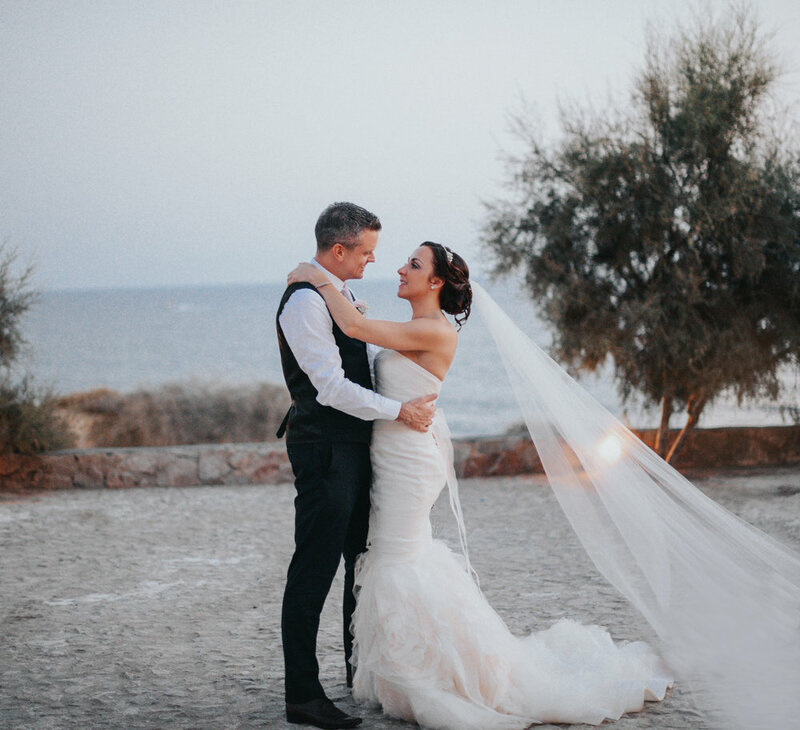 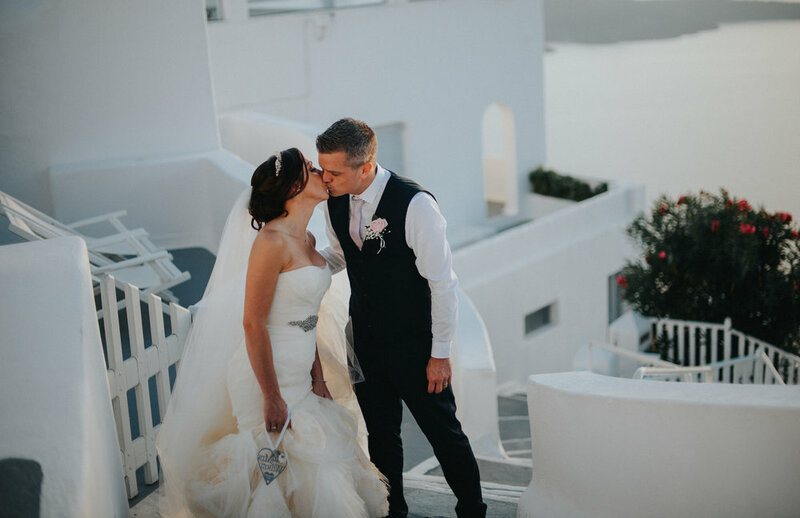 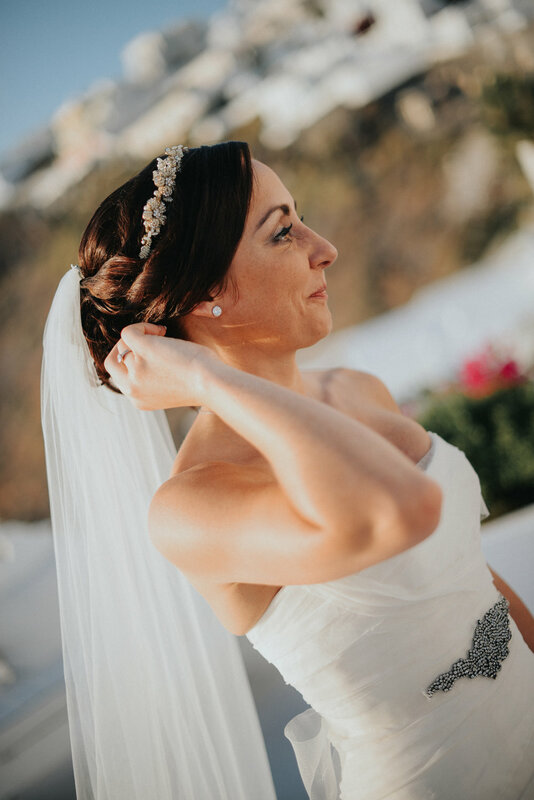 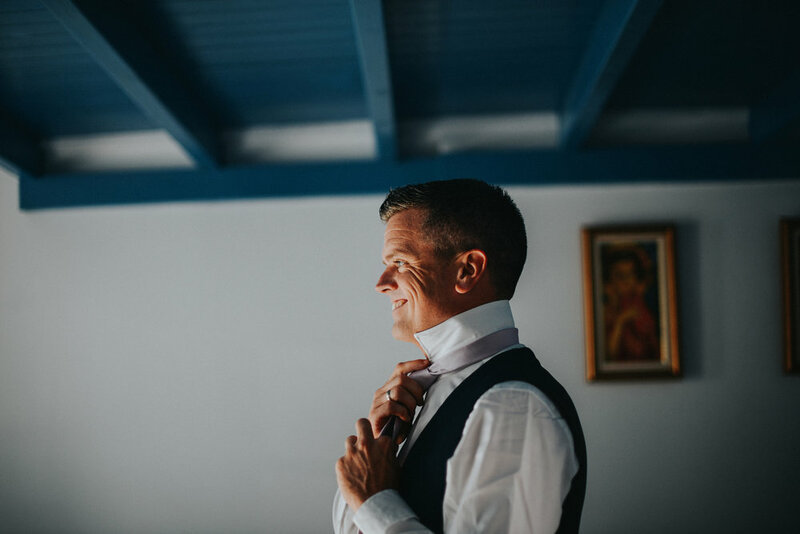 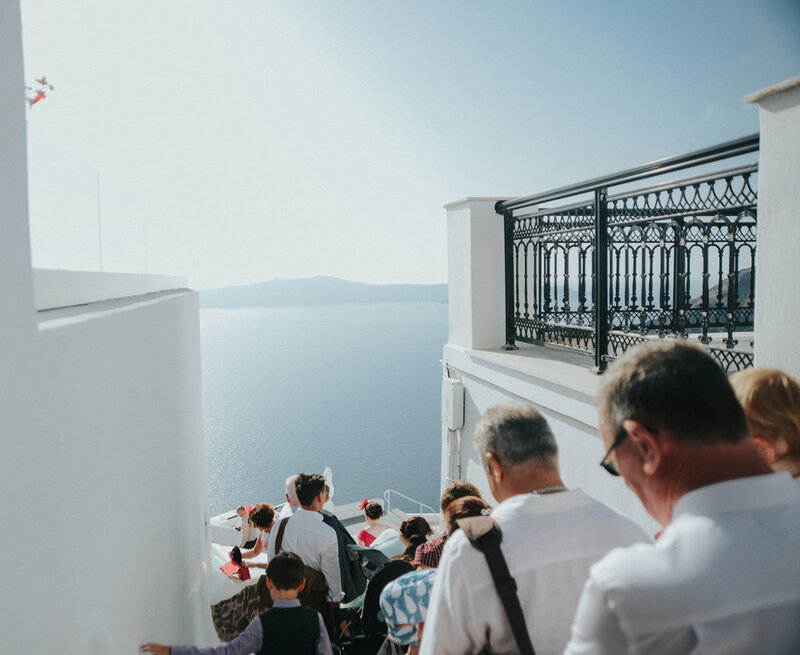 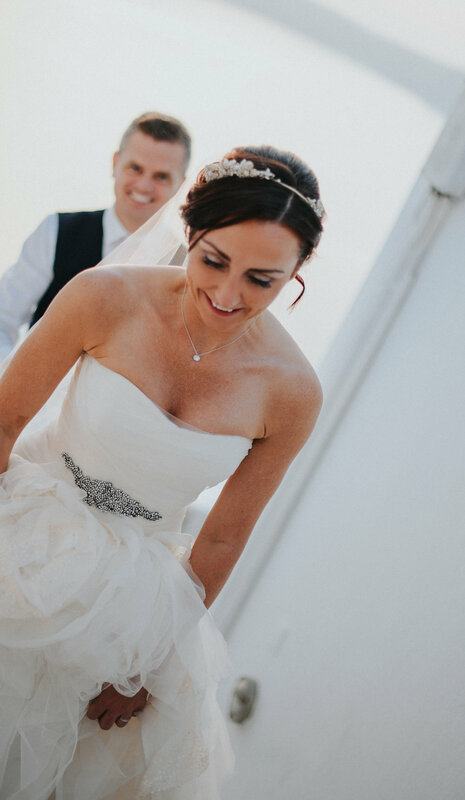 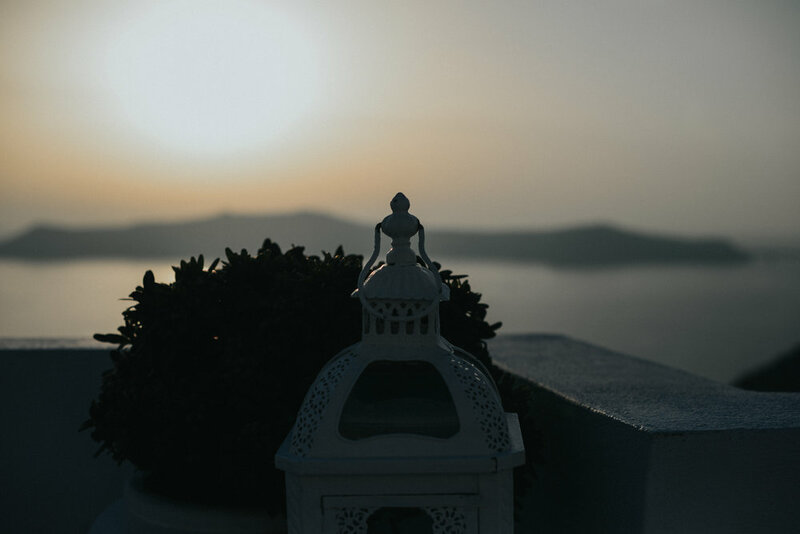 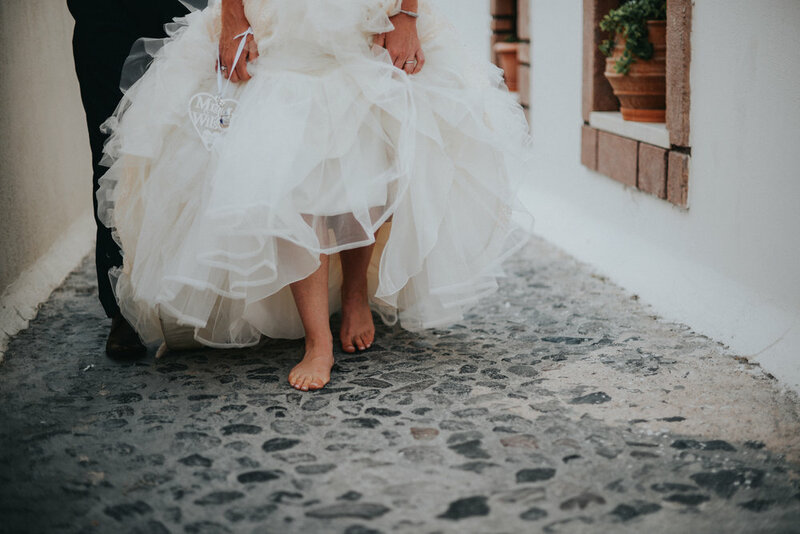 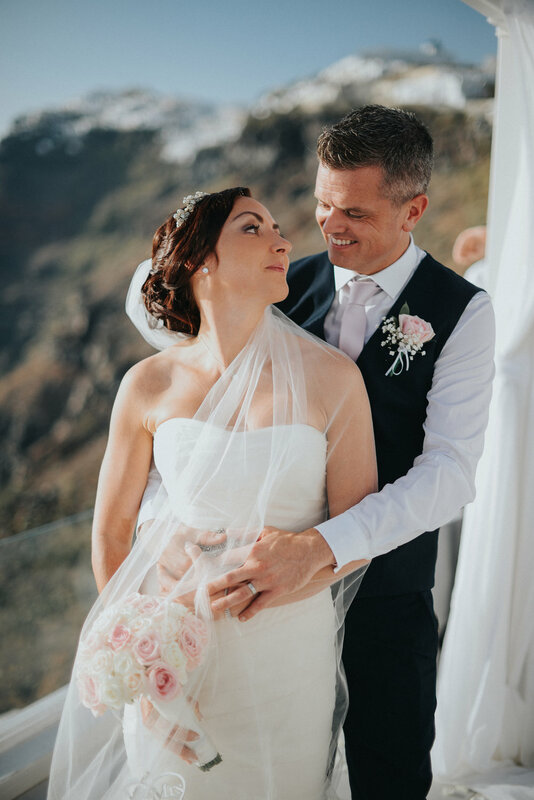 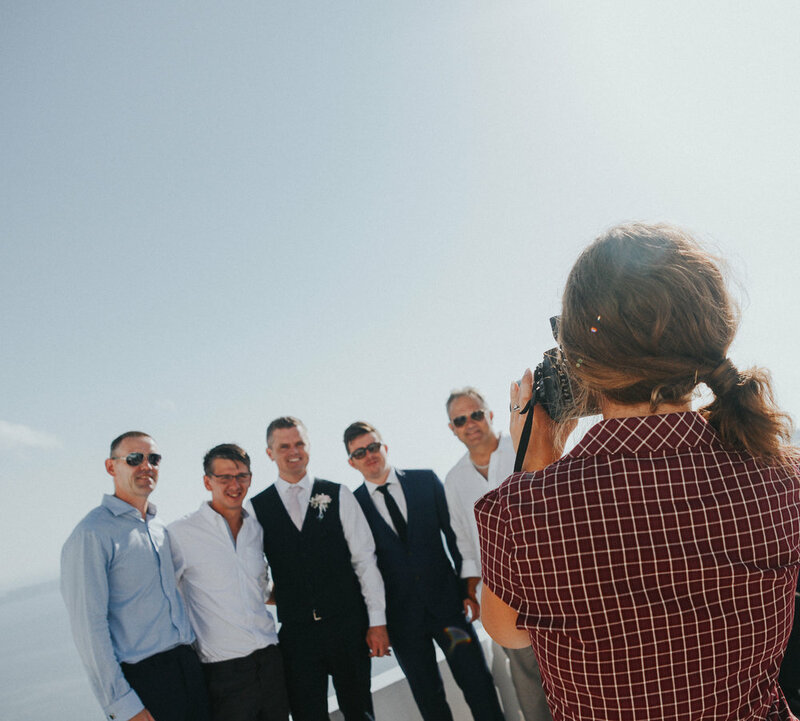 This wonderful, magical santorini september wedding was never featured on my blogs because it was during one of my busiest times and i was a little behind on blogs, i always had the intention of sharing this incredibly romantic wedding, how could i not, it was one of most wonderful experiences and i am truly thankful to Kelly +Gary for giving me that. 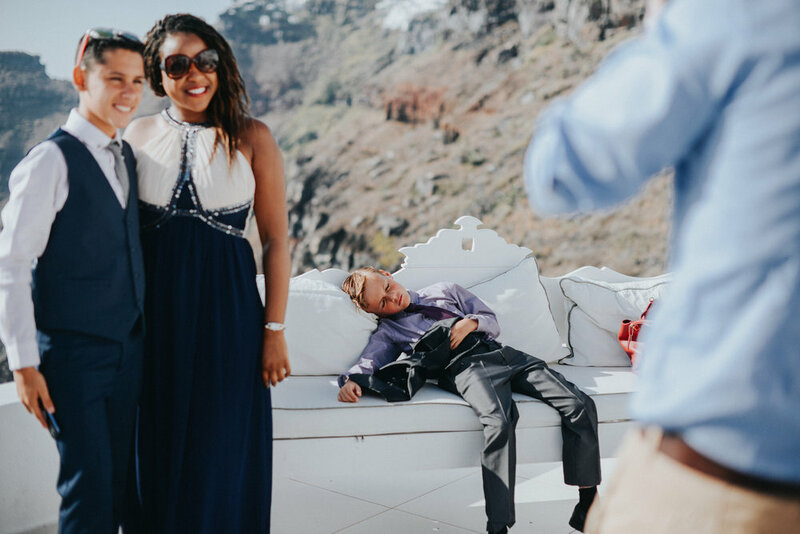 I brought my mum who also often assists me at weddings, and we had the time of our lives. 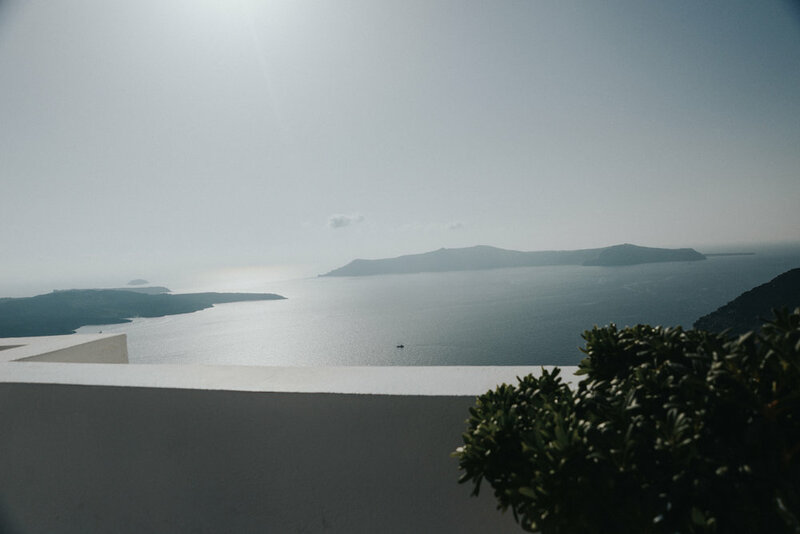 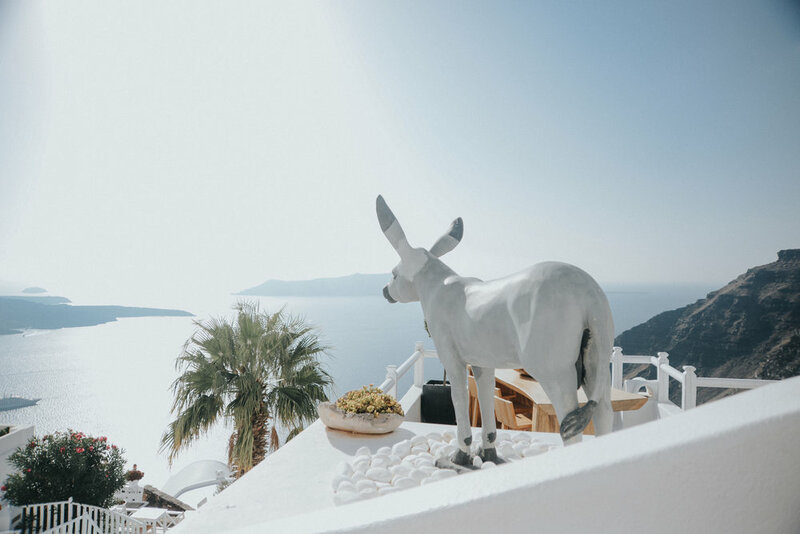 There is something special about Santorini that is just magical, the light there is just spectacular, everything has this beautiful spectrum of blues and whites. 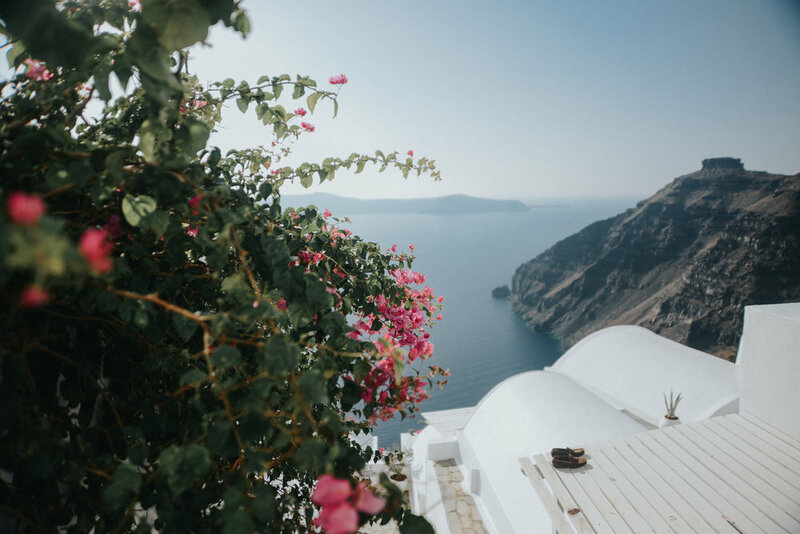 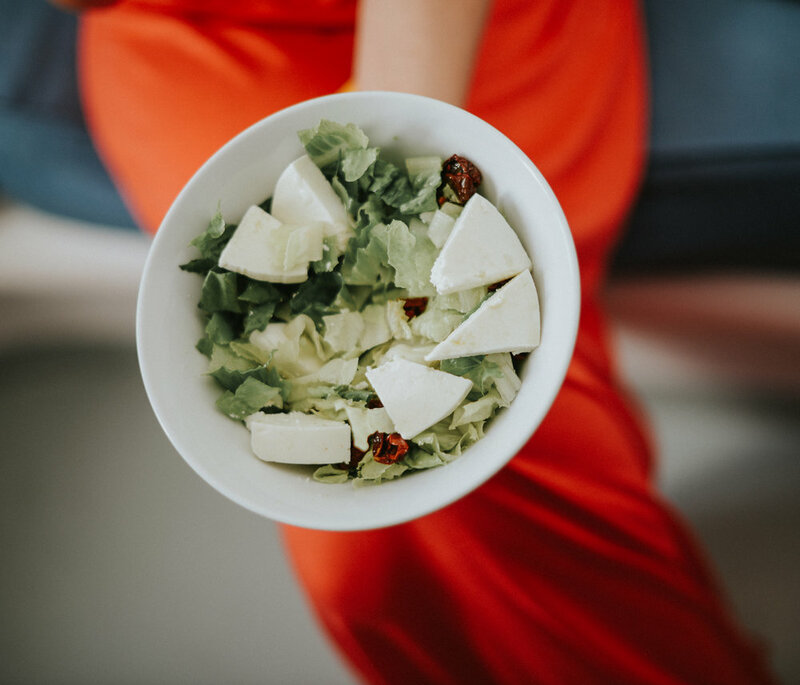 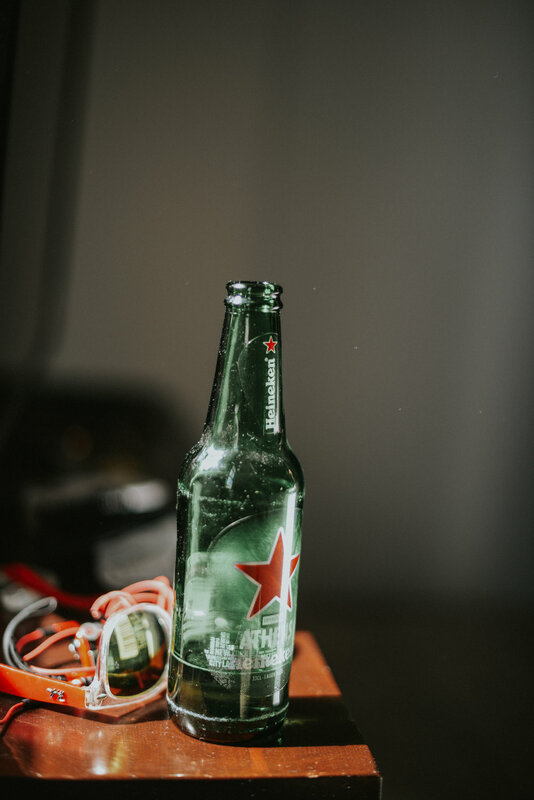 There is an air of romance as you sit looking over the ocean high above in the cliffside bars and restaurants as musicians play classical music, it is just breathtaking and i completely fell in love, so much so i plan to go back this summer with my boyfriend Ben. 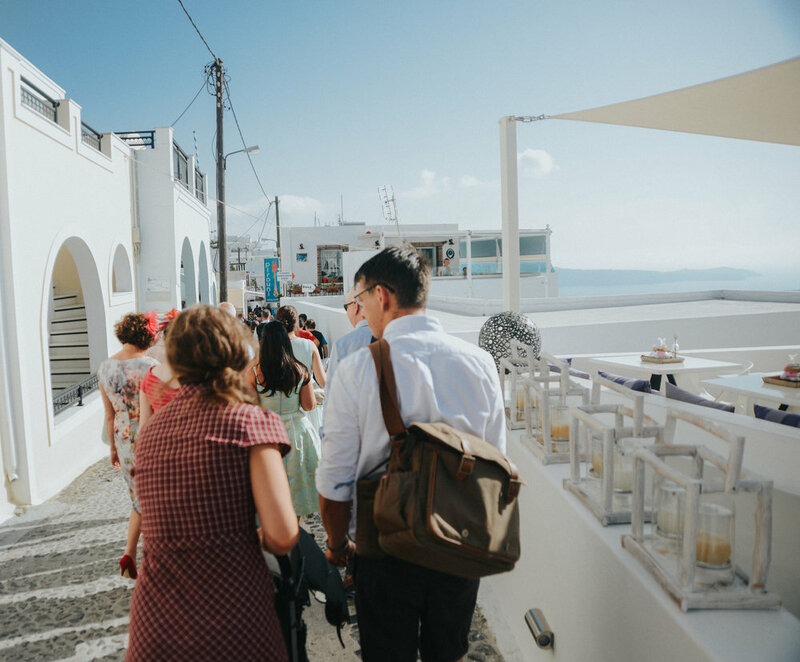 This magical journey started late in the afternoon, with everyone slightly hungover from the night before's celebrations where were were lots of jagerbombs being passed around. 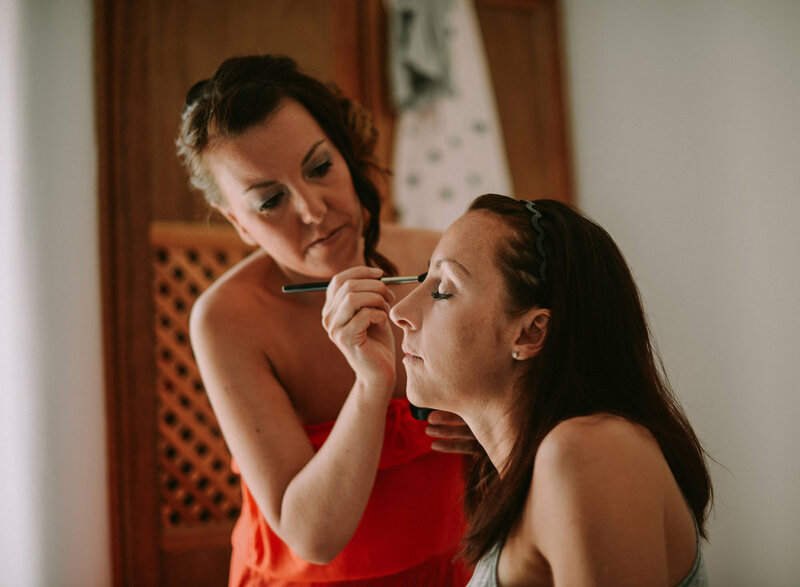 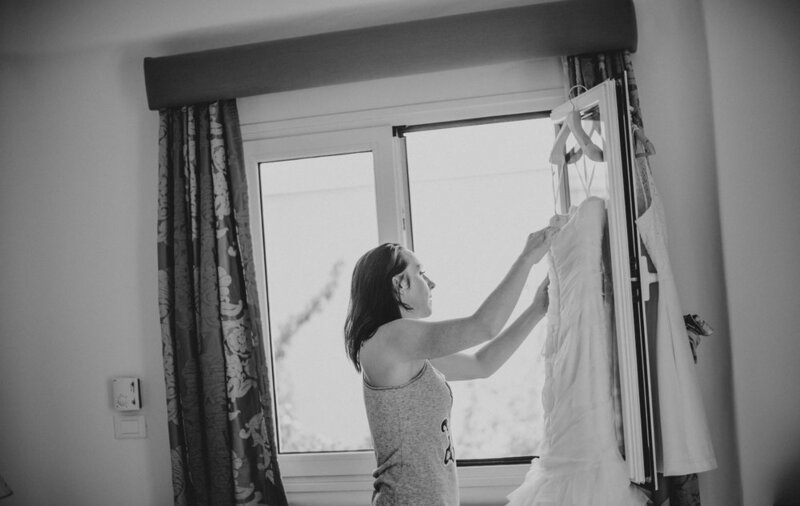 Everyone was so relaxed getting ready which is one of the reasons i love intimate weddings abroad, everyone and everything is so relaxed and calm. 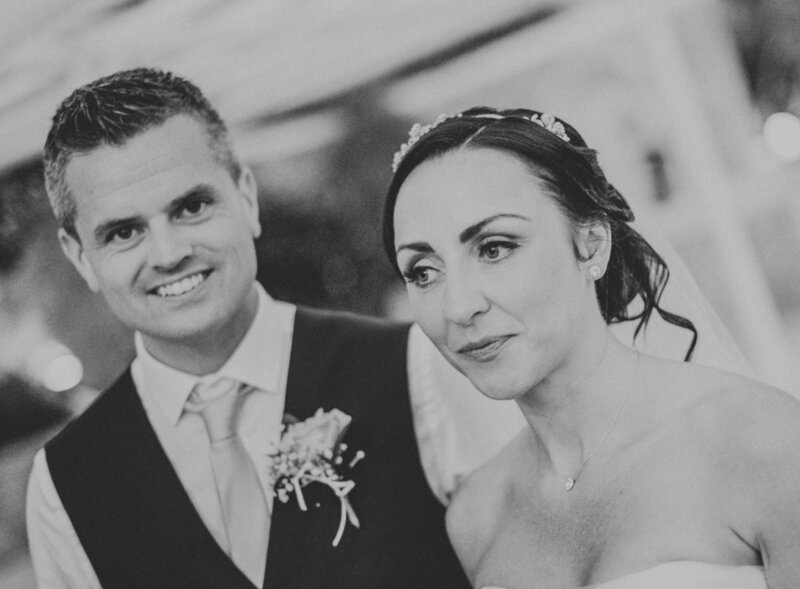 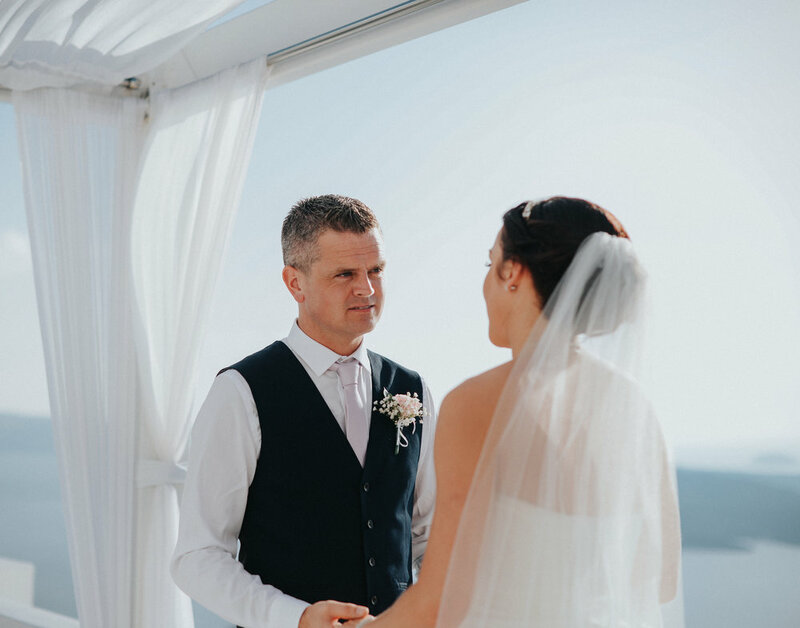 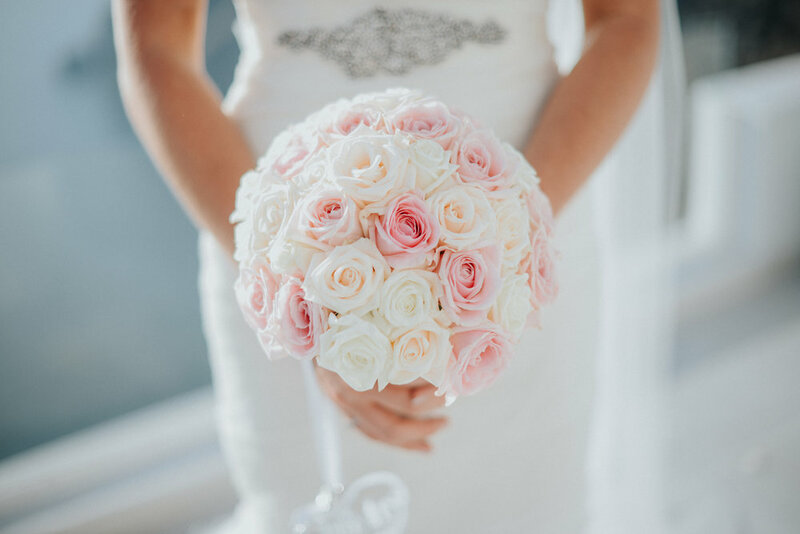 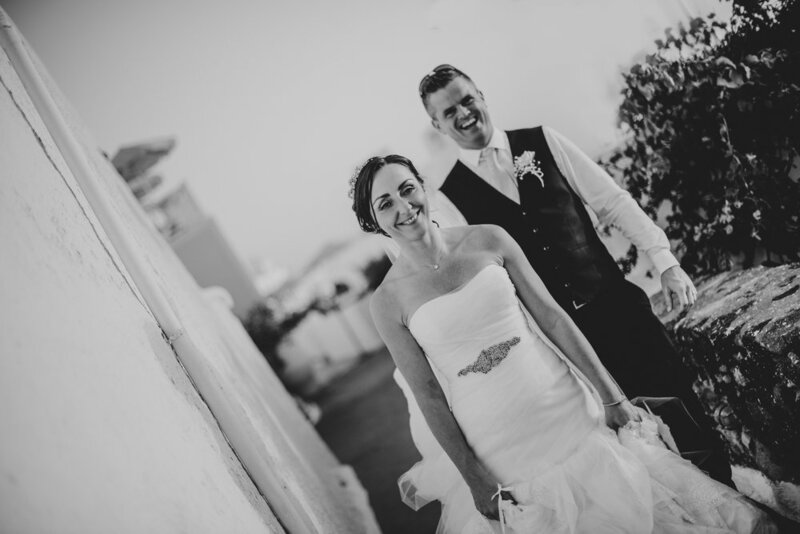 Kelly + Gary said their vows overlooking the ocean, it was so atmospheric, so romantic, so beautiful and so emotional. 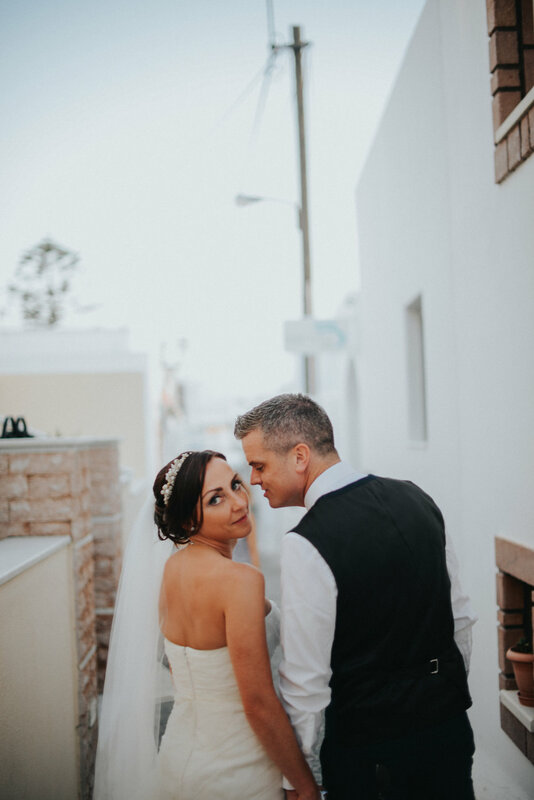 After the ceremony we took a few group shots and we walked through the tiny streets to capture some beautiful natural shots. 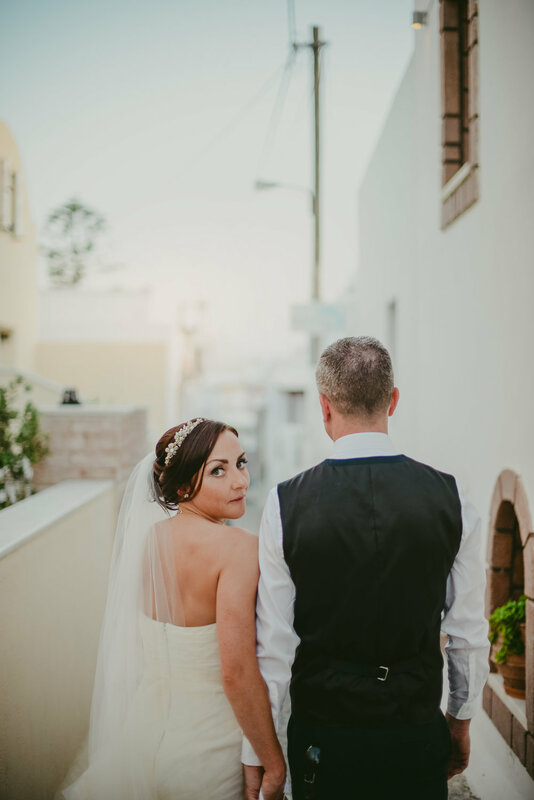 I then took a taxi ride with Kelly and Gary to meet the rest of the guests at their evening reception venue which i can only describe as some wonderful secret little beach side hut right next to the sea, i will always remember that drive, i sat in the front of the car, the hazy golden hour sunlight through the windows, the sound of the beautiful classical song Ave Maria on the radio, kelly + Gary laughing with each other sat behind as we drove through beautiful scenery, through the hills of santorini, mountains eachside, it was as if we were on some secret magical adventure and i been allowed to sneak in on, and allowed in on this secret, it was truly magical. 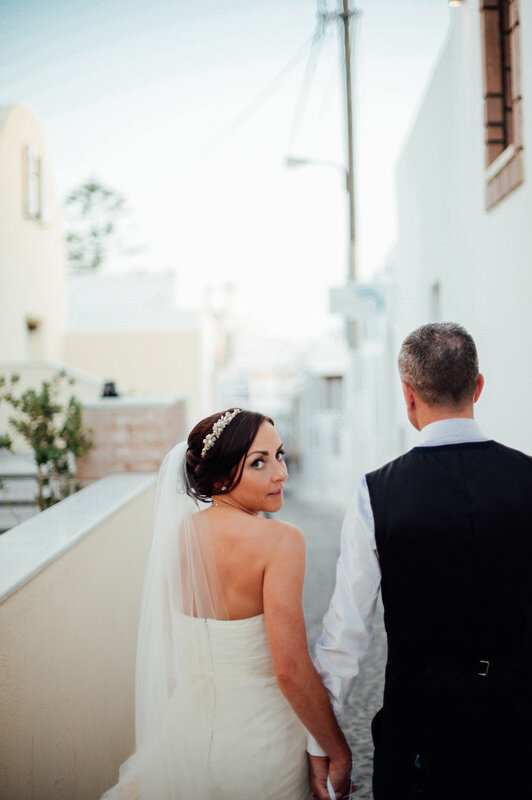 When we arrived at this secret location we were met with guests where we danced all night right by the ocean. 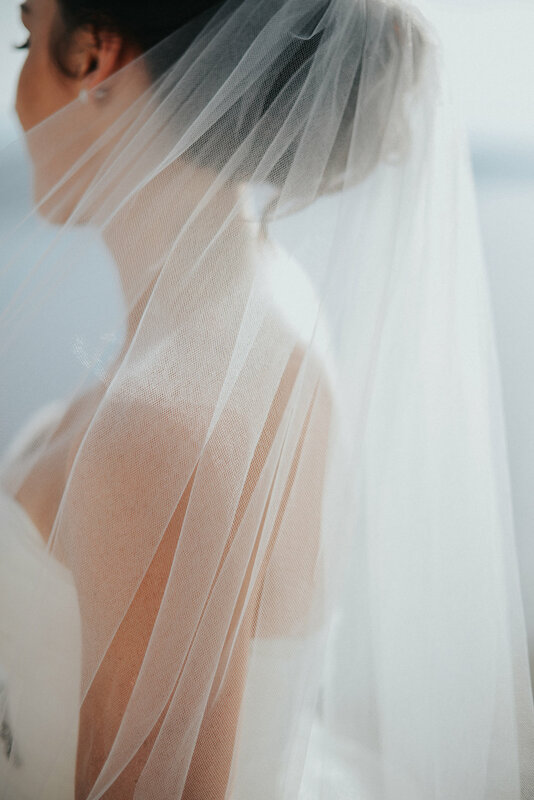 It was such an unforgettable experience and one ill never forget. 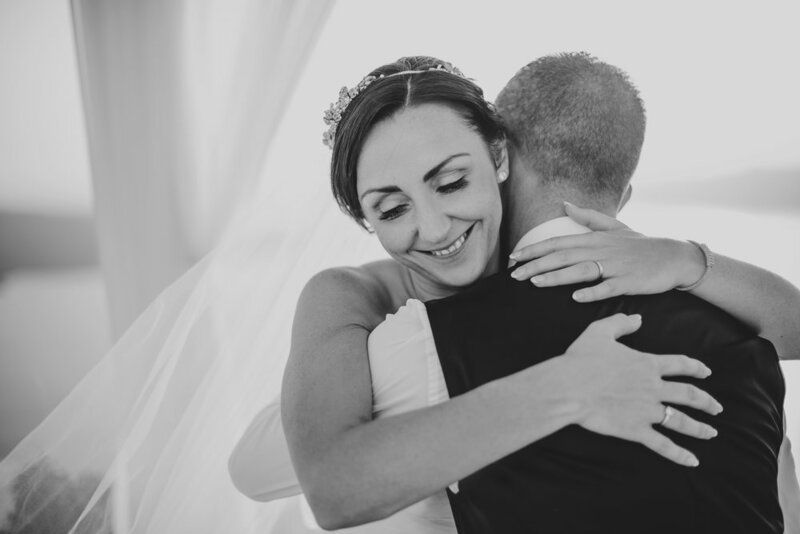 Thank you Kelly + Gary for choosing me to be part of this amazing day, thank you for letting me capture your beautiful story.